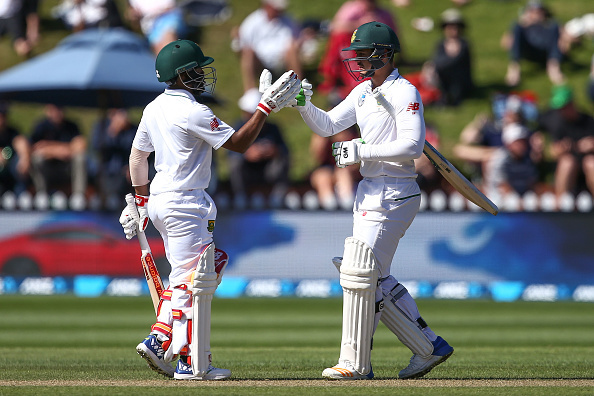 Stephen Cook has been dropped for Theunis de Bruyn, as the Proteas look to close out the series at a damp Seddon Park. With rain expected in patches throughout the five days, it remains to be seen whether there will be enough time for a result. The pitch suggests it’s better for seamers than originally thought, with the Proteas opting to stick to the tried and tested bowling line-up that has seen them go into this match 1-0 up. In this last Test of the season for the Proteas, a victory here at Seddon Park would cap off what’s been an incredible period for Russell Domingo’s men. The side sunk as low as seventh in the world, but a victory here, depending on what happens in the fourth Test between India and Australia, could lift them up to No 2, and keep up a 13-year stretch of avoiding a Test defeat to the Black Caps. 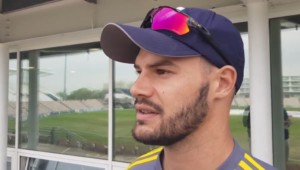 The extent of what this means to the Proteas was reflected with the inclusion of Quinton de Kock, who is carrying a finger injury and who has confirmed his absence from this year’s IPL because of this. With only one batting change, the visitors will hope that continuity will allow them to get the better of a depleted Kiwi side. Not only is Ross Taylor missing from the host’s middle order, but pace pair Tim Southee and Trent Boult have also been ruled out, leaving Affies old boy Neil Wagner to lead the line, with Matt Henry by his side in the pace department.